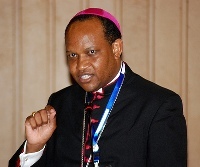 Sprinkled with humour and personal anecdotes Rt Rev Dr Anthony Muheria, Bishop of Kitui, delivered the Michael Maurice Cardinal Otunga Memorial Lecture at Holy Family Basilica Hall in the presence of hundreds of people, among them The Prime Minister of Kenya, Hon Raila Odinga. The Servant of God was described as a great and distinguished son of Africa, son of a chief, an authentic Christian, but one who was fully conscious of being first and foremost a son of God. His personal encounter with Christ replaced his human filiation with a deeper awareness of being a son of the Church, thus raising him to supernatural heights as son of the greater King and chief, Christ. This is the meaning of holiness. 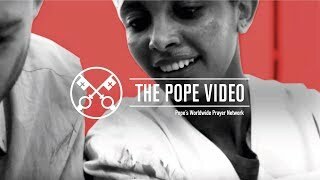 He recalled how in May 1981 Blessed John Paul II decided to consecrate the world to the Immaculate Heart of Mary, and being incapacitated himself after his assassination attempt, delegated this important duty to the young Cardinal from the developing world, not yet noticed by the world’s media. Bishop Muheria attended a Mass of His Eminence towards the end of his life and was deeply impressed at the solemnity with which it was celebrated even though at one stage the Cardinal had to support himself on his elbows as his legs were too weak for him to stand upright. His was a truly Catholic priesthood lived to the full with a consciousness and nobility of being the anointed one. He was always a prince, a gentleman, another Christ. He loved his priests and his own main title was that of being “priest”. At a personal encounter, in the presence of his parents, Cardinal Otunga encouraged him in his vocation to Opus Dei. At a later encounter in Rome, when newly ordained, the late Cardinal encouraged him to live his priesthood fully, he then knelt and asked to receive a blessing from the young priest and kissed the anointed hands with devotion. Quoting from a biography of the Cardinal, “Gift of Grace”, Bishop Muheria recounted how he lived a complete submission to the will of God. The humility, poverty and charity of the Servant of God were also highlighted. He was the first Kenyan bishop, archbishop, Cardinal and participant at Vatican II but was always simple in his ways. At the end of his life he had no house, no car, no possessions nor a nice bed. He was a great listener; A man of peace and joy but a true warrior of the spirit. Soft spoken but at war with evil and the structures of sin; Great promoter of the dignity of man, of life, of the family. We should ask his intercession for the issues that face our country, for the unity that eludes us, for the issues that face the family, and especially to intercede for the threats that challenge life, particularly the unborn. The lecture was preceded by a Mass in the Basilica and followed by a Harambee for the Cardinal Otunga Scholarship Fund. Two million, two hundred and fifty two thousand shillings were raised during the afternoon.